This past weekend was amazing!! 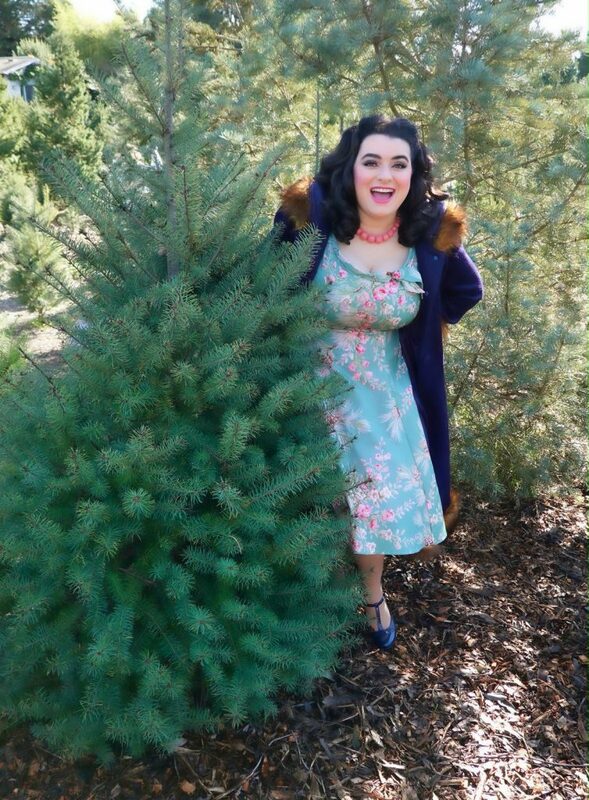 We found a winter wonderland (minus snow, we live in California after all) but there was a chill in the air and the wonderful excitement of picking out the Christmas tree. 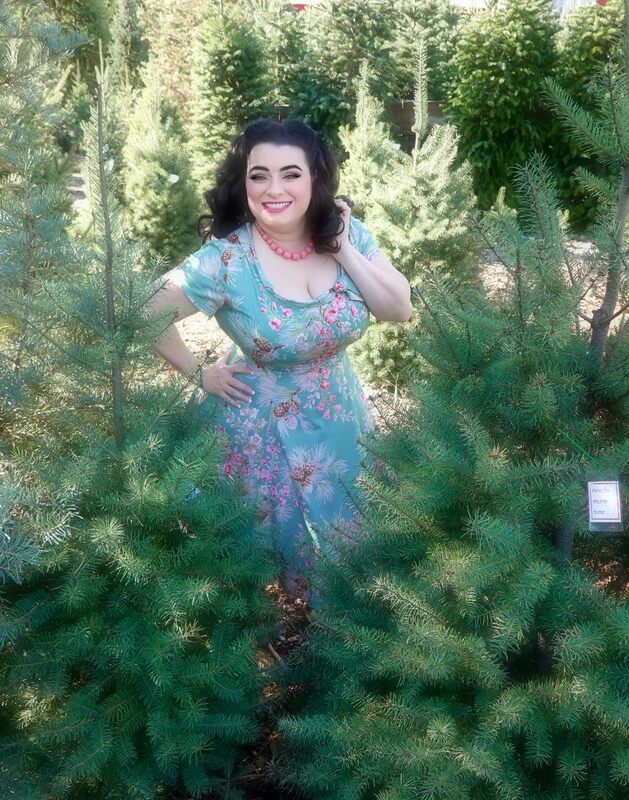 This magical place is Grandma Buddy’s Christmas Tree Farm right here in Sonoma County’s little city of Sebastopol. Pulling up to Grandma Buddy’s Christmas Tree Farm I had a Hallmark Christmas moment that filled me with excitement and wonder. 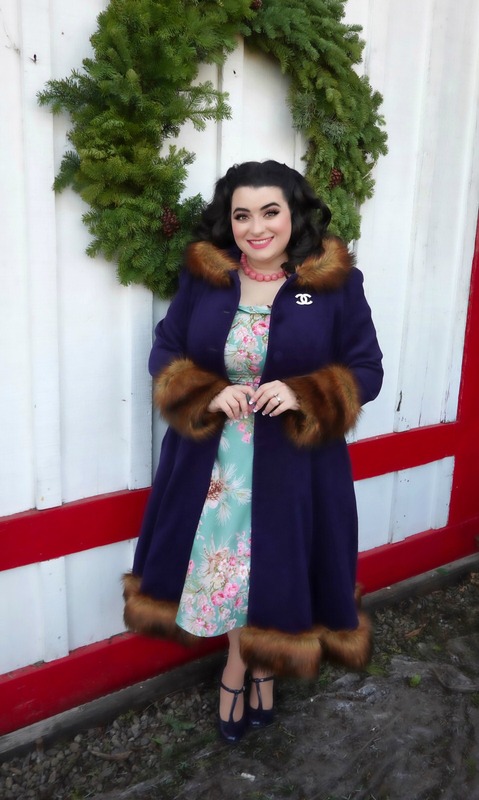 The place is darling with lots and lots of fresh Christmas trees and there is a whitewashed barn turned gift shop full of whimsy, flocked trees, fresh wreaths, and lots of Christmas decorations, train set, wood stove and chairs, and hints of nostalgia and of course a hot coco bar with all the trimmings. Lots of families and children were picking out their Christmas tree and the friendly staff was helping to cut them down and wrap them up to take home. 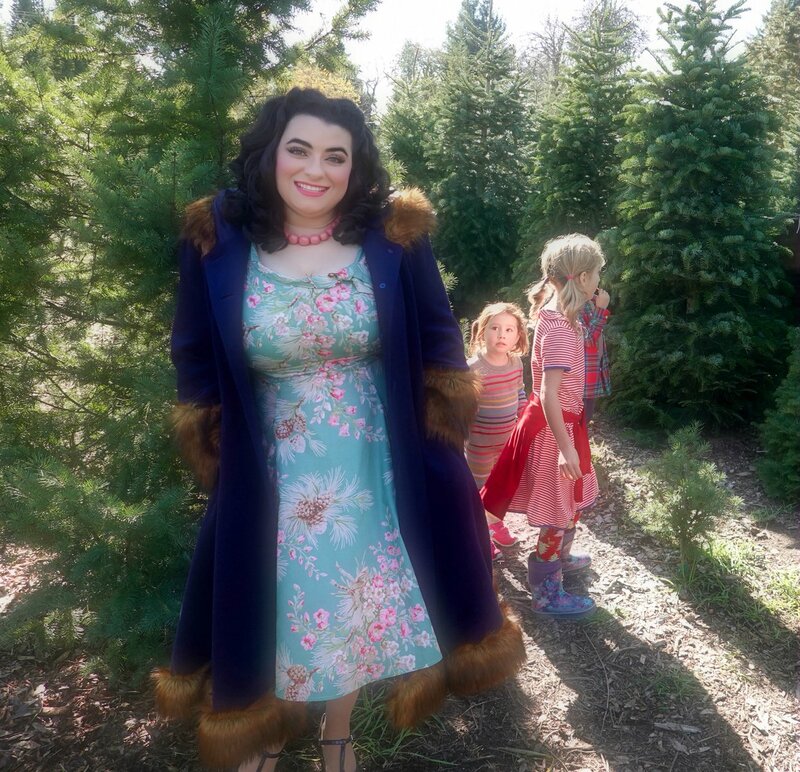 For our visit to Grandma Buddy’s Christmas Tree Farm I wore my new holiday Beverly Dress – Sage Pinecones by Heart of Haute. 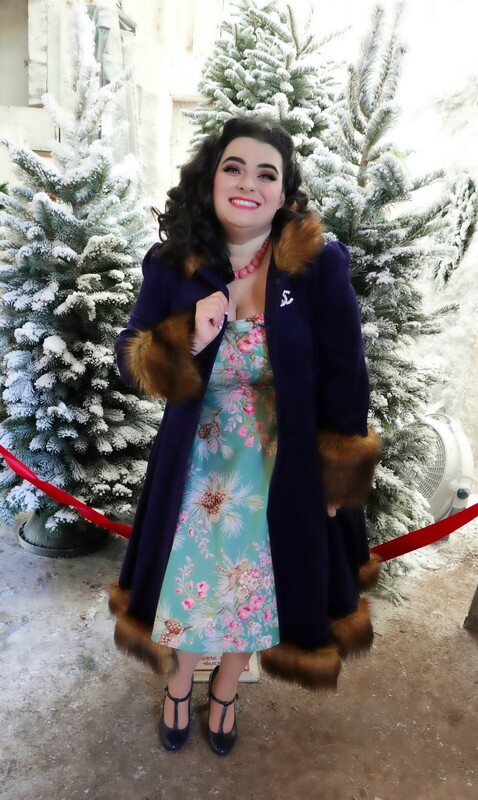 The Beverly style is so flattering and I wore my Hell Bunny Isadora coat that is so luxe with fur trim collar, cuffs, and hem. 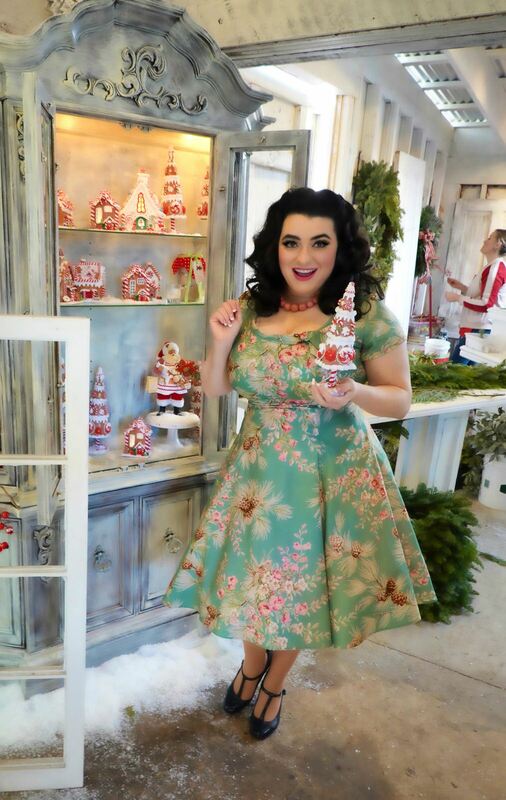 I received so many compliments on my outfit; the shoppers were all so sweet. 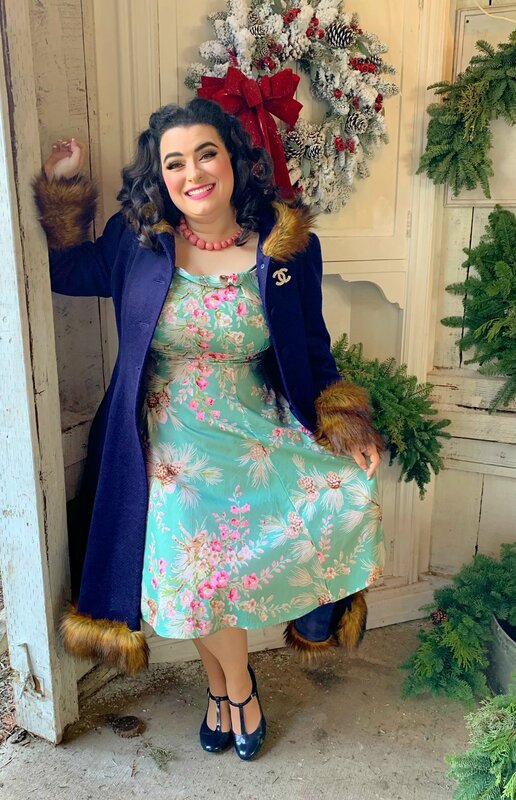 My hubby Gary is always so much fun to go on location shoots with and we made some Christmas wonderland magic in these photos. 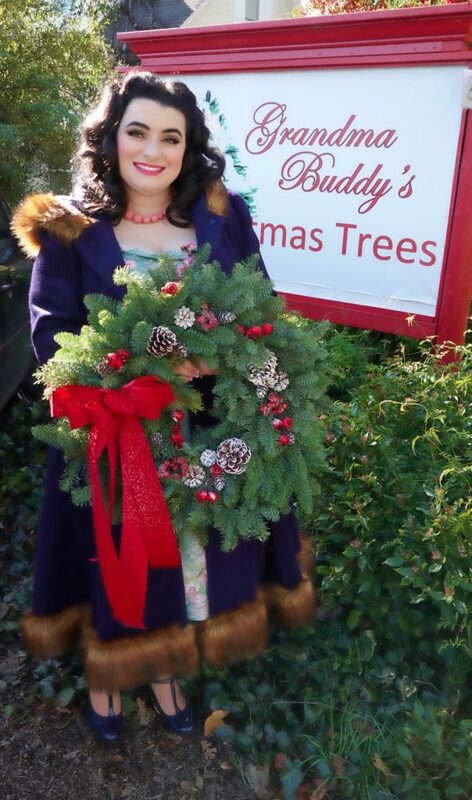 Hope you are all having a wonderful holiday season.